If you are looking for a used Dodge Grand Caravan in Windsor, Ontario or Tecumseh and surrounding area, the Best Rate Auto Sales sales team will be able to satisfy your needs. Best Rate Auto Sales always has a great selection of pre-owned Dodge Grand Caravan in stock and add to the vehicle inventory daily. At Best Rate Auto Sales we proudly sell and service used Dodge Grand Caravan to customers from Windsor, Tecumseh, Belle River, Leamington, Tilbury, Chatham, Lakeshore, La Salle, Essex and Kingsville. The Grand Caravan's most important feature, both from a usability stand-point and competitive stand-point, is that it is available with Stow'n Go seats. The second and third row seats can be folded into the floor. No more fumbling to release and remove awkward heavy seats and then trying to find a suitable place to store them. A 3.6-liter V6 sends power through a six-speed automatic transmission to the front wheels. All trims come equipped with a tilt and telescoping steering column, remote keyless entry and a tire pressure monitor. Standard safety features include traction control, stability control and antilock brakes with brake assist. 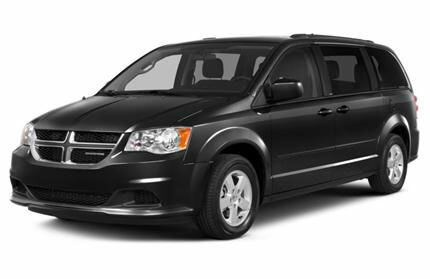 The Grand Caravan SXT and Crew receive standard 17-inch wheels and tires for 2013 (up from 16-inch). Source: Chrome Data. 2013 Dodge Grand Caravan Review: The second-row bucket seats are stationary, but the back folds forward and the seat tips up to allow access to the third row, all with the pull of a lever. Open the bins and you can then push the seats into them. This system, now called Super Stow 'n Go, works superbly well. For a fairly simple invention, it's a masterpiece. -- New Car Test Drive. Source: Chrome Data.